UNESCO stands for United Nations Educational, Scientific and Cultural Organisations. The Organisation works towards creating communications based upon respect for common values shared between civilisations, cultures and people. Their mission is to contribute to the building of peace, the uproot of poverty, education, sustainable development, the sciences culture and much more. Intangible Cultural Heritage is an important factor in maintaining cultural difference in our forever growing globalisation. It does not only mean monuments and objects from the past, it also includes traditions inherited from our ancestors and that have been passed on. Examples of this are oral traditions, festivals, performing arts, rituals, social practices, traditional crafts and many more. Some of the practices that have been passed down have evolved so it fits in with today's modern society. Having the understanding of different cultures and their heritages encourages respect for the different ways of life. The importance of Intangible Cultural Heritage is having the knowledge skills that have been passed through the generations to learn about how things came to be today and being able to keep cultural difference. 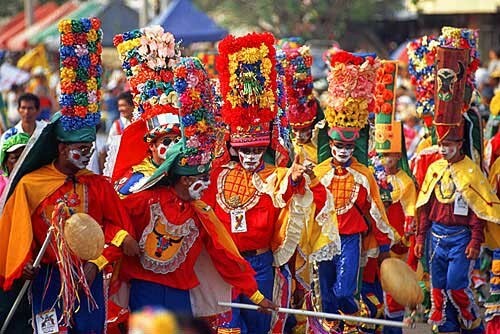 The Carnival of Barranquilla is known as the most colourful carnival in the world. UNESCO (United Nations Educational, Scientific and Cultural Organisations) honored this certain carnival by declaring it as a World Masterpiece if the oral and intangible Heritage of humanity. 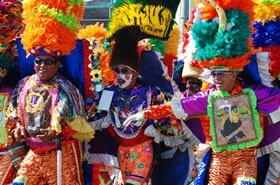 The four day festival offers a variety of cultural stories, dance, legends, history beliefs and so on, originating from different Colombian sub-cultures. Because of the city Barranquilla's location on the Caribbean Coast and it's development, Barranquilla became a place where European, African and the indigenous peoples and cultures have converged, bringing together this festival. 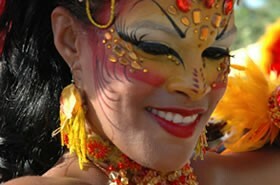 The festival has become a professional event that now receives wide media coverage. This amazing festival only comes once a year and is the most awaited festival by all who wish to enjoy the experience. Enjoy the most colourful festival you will ever attend while enduring all the wonderful aspects of different Colombian cultures. I believe that the UNESCO's Intangible Cultural Heritage programme is very important for sustaining the different cultures of the world and their traditions. 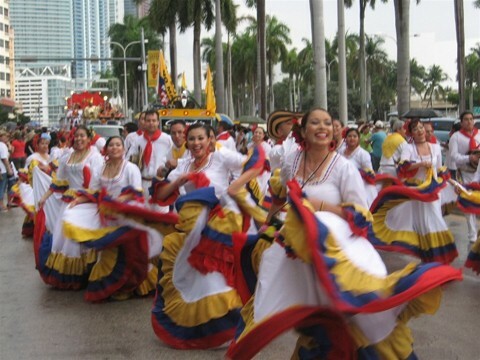 By perserving certain cultures and their traditions, such as the Festival of Barranquilla, it allows the new generations and others around the world learn about the country's history. The Festival of Barranquilla is a very important festival to Colombians, it brings everyone together over four wonderful days. It's where everyone can learn about where they came from while having the experience of a lifetime. It's a well respected element that is enjoyed by everyone who attends.